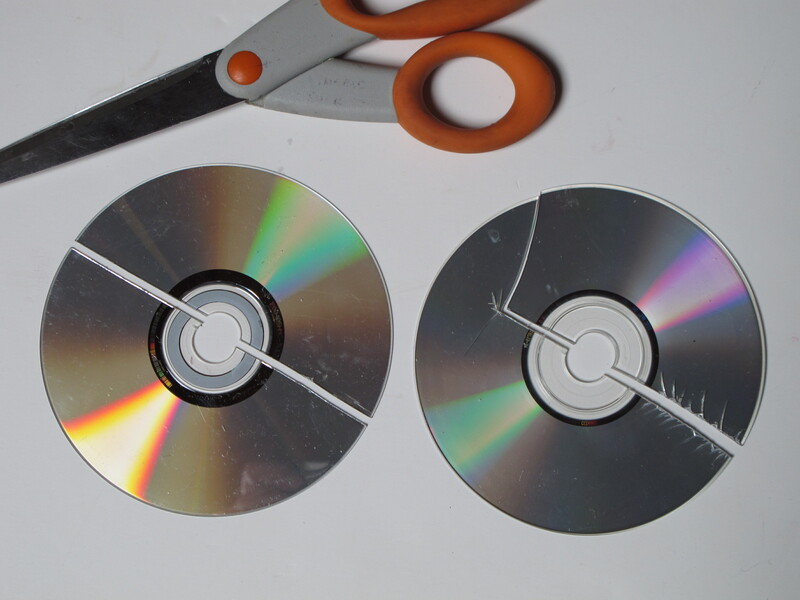 First, cut the CDs in half with sharp scissors, making small cuts each time to minimize cracking. 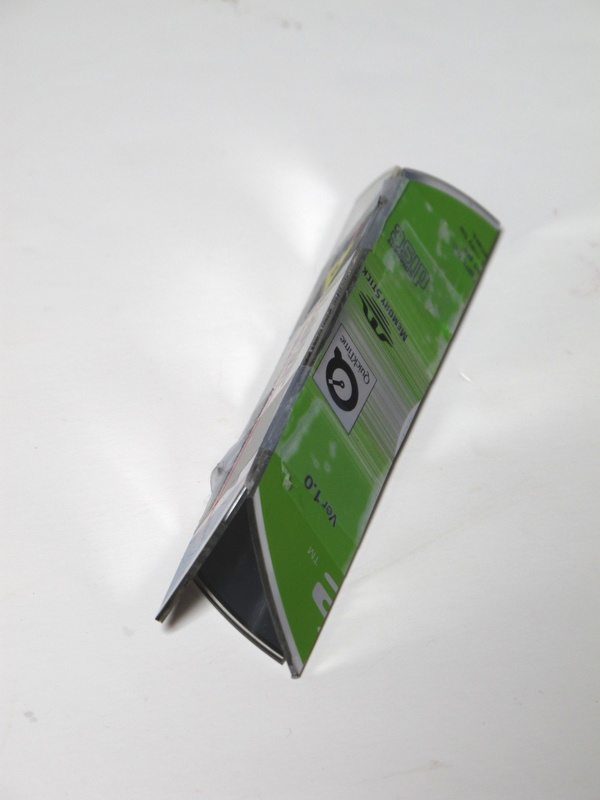 Some CDs are brittle and crack easily, and should be discarded at this step (image 1). 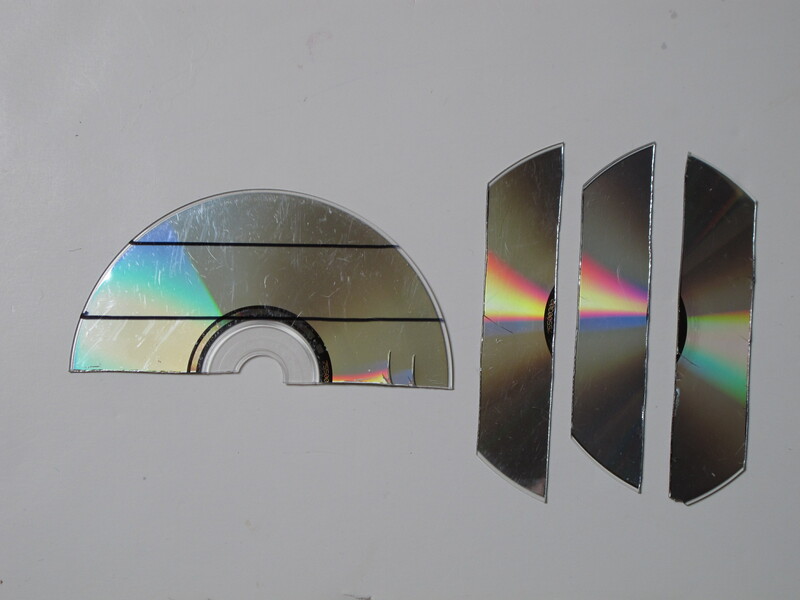 Most CDs are slightly bendy and can be cut without cracking. Keep these ones for the next steps. Use the permanent marker to mark the CD with parallel lines about 2.5cm wide, then cut along these lines to make strips of CD (image 2). 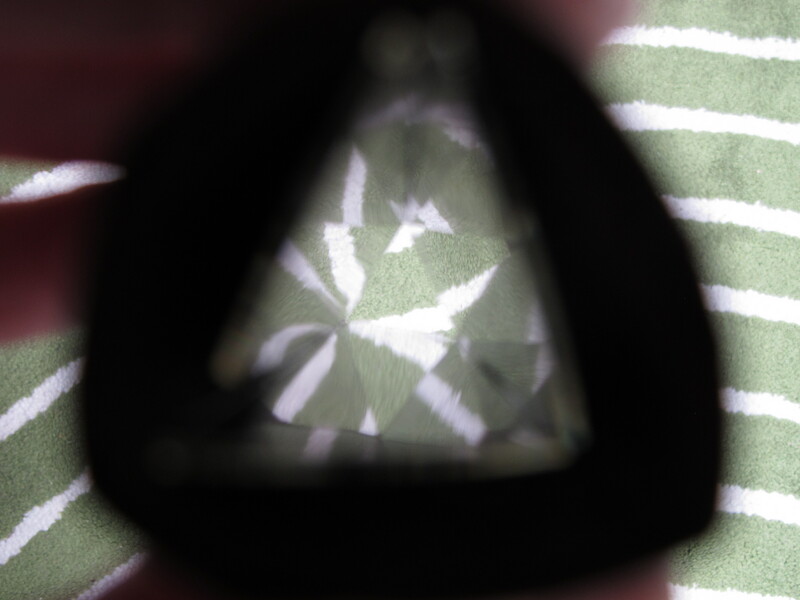 It is OK if some of the lines remain, or if there are some small cracks - these don't seem to matter to the final image through the kaleidoscope. Tape three sections together in a triangle (image 3). 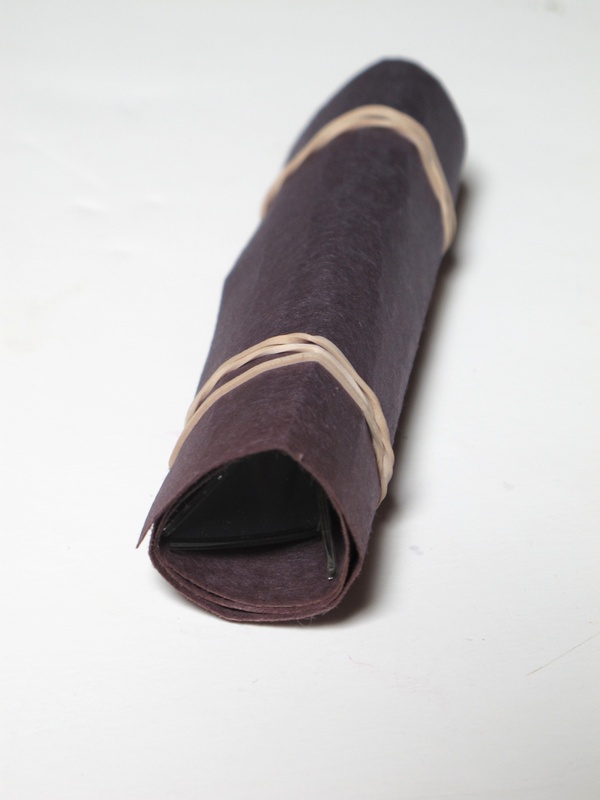 Make a casing by rolling around with black material, black construction paper or thick black material. Use two elastic bands to secure the casing (image 4). Look through the kaleidoscope at the world around you, rotating and moving it to change the image. A striped carpet is viewed in image 5. Patterned cloths work great. Optional: cut a square of wax paper, draw coloured lines on it with crayons and secure over the non-viewing end of the kaleidoscope with an elastic band. 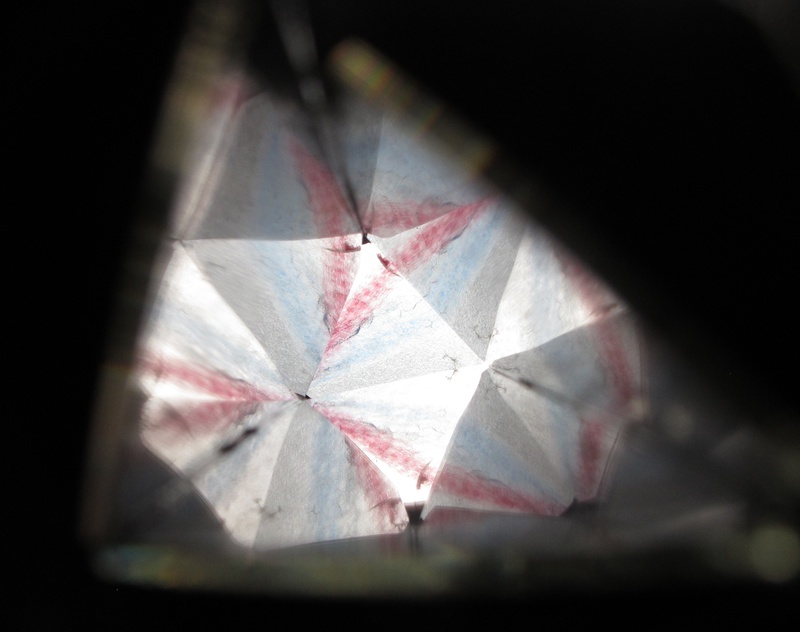 Or push the waxed paper or light-coloured tissue paper into one end of the kaleidoscope. Hold up to a light to view. See image 6. This activity works great, and is cheap, but is a lot of prep - for a kaleidoscope for each student in a class, the prep is a couple of hours. Consider making one per table group to make a set of kaleidoscopes for general use in the classroom (they are endlessly entertaining and thought provoking). If you can find very stiff mylar that is a good mirror, it is much quicker to cut and fold using a sharp blade, so prep for a whole class is reasonable. A good mirror is the key to a working kaleidoscope - some activity sources use the commonly found floppy mylar sheets - even when taped to cardboard, they are not flat enough to make good mirrors. For the after school program in New York, I used a kit which contained stiff mylar.